Former MLS Cup champions Colorado Rapids today revealed their 2019 adidas away kit. 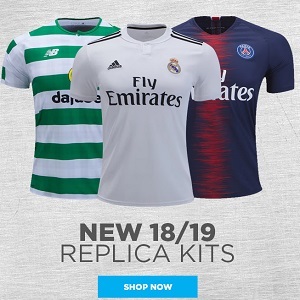 It will be available at World Soccer Shop, Kitbag, Pro:Direct Soccer and UK Soccer Shop in the leadup to the new Major League Soccer season. The new shirt is called the Black Diamond jersey. The name is taken from a local ski jump. The Colorado Rapids 2019 adidas away kit has a white base inspired by the snow covered Rocky Mountains of the team’s home state and the region’s winter sports culture. The burgundy and gray of the Colorado Rapids crest are present at the kit’s v-neck and sleeve cuffs. Gray adidas stripes run down its sides. The adidas and shirt sponsor logos are burgundy along with the “C” from the state flag on the upper back. Currently regrouping after a poor 2018 season, Colorado Rapids kick off their 2019 campaign at LA Galaxy on March 2nd.